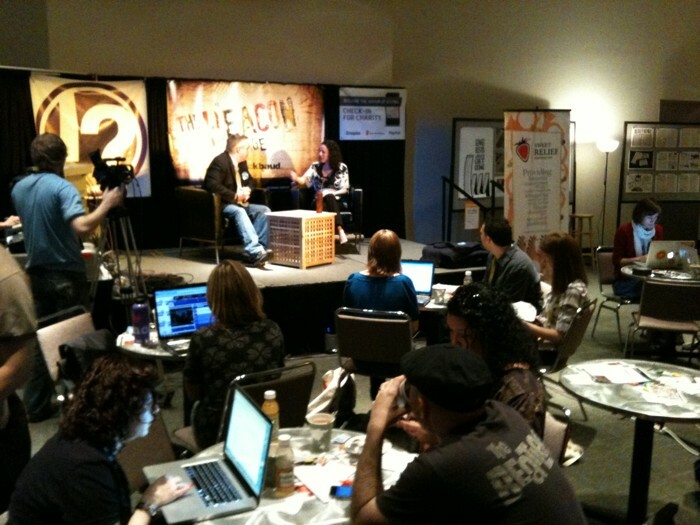 Radar is honored to be involved with this year’s Beacon Lounge (aka: “the Lounge with a Conscience”) at the Convention Center where WhatGives.com is producing & streaming a half-hour webcast hosted by Mark Horvath from InvisiblePeople.tv (with special thanks to Portnoy Media Group). The multicam webcast will air on Saturday March 13th, Sunday March 14th & Monday March 15th at 10:30 AM CT. The webcasts feature some amazing people in the social media for social good world and topics include social media’s impact on efforts to increase support for charities and causes around the world. You can click here for a complete schedule. Mark’s guests include Jeff Pulver from the 140 character conference; Chris Brogan of Trust Agents and Social Media 101 fame; Kari Saratovsky from the Case Foundation; Terry Storch and Tony Steward from LifeChurch.tv; Beth Kanter, nonprofit social media strategist; and Chris Noble, Founder and CEO of Causemedia Group. To help us get the word out there, please use the following hashtags: #whatgives and #refreshGary (more info on that here, thanks to Kevin Hendricks). There’s no doubt South by Southwest is a major event: SXSW is the highest revenue-producing special event for the Austin economy, with an estimated economic impact of at least $110 million in 2008. With more than 1,400 performers playing in more than 80 venues around Austin over four days, SXSW Music is really why people come here. But over the years, SXSW Film has become one of the world’s premiere film festivals while SXSW Interactive has attracted a strong following among web creators and entrepreneurs. SXSW Interactive’s focus on emerging technology has earned the festival a reputation as a breeding ground for new ideas and creative technologies. Twitter launched at SXSW Interactive in 2007.